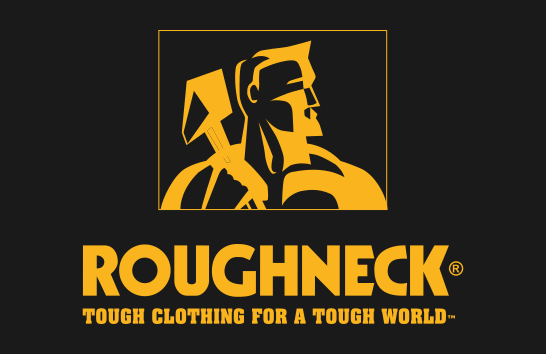 Tough clothing for a tough world is their slogan and thats exactly what Roughneck Workwear provide. 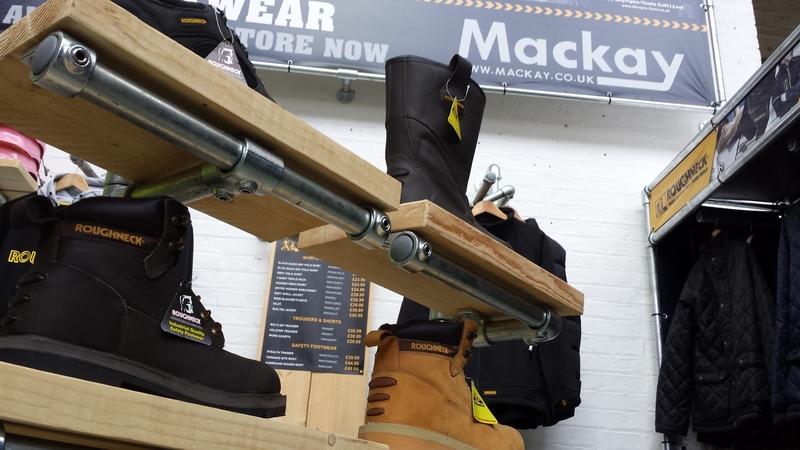 Our new range of workwear includes Safety Footwear , Trousers , Shorts , Shirts , Jackets and Accessories and is designed to meet everyday needs. 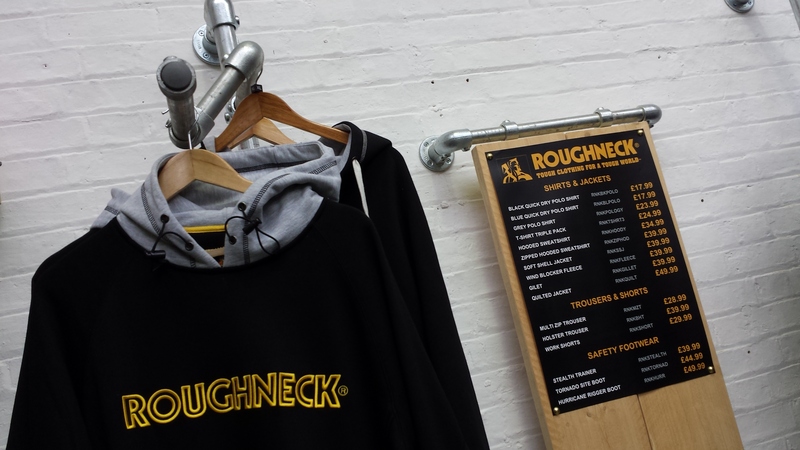 We were so impressed with the quality of Roughneck Clothing , we decided to redesign our clothing department to give Roughneck the recognition it deserves. If you have visited our store recently you would of no doubt seen the impressive changes we have made. We have worked extremely hard to create this new display and we are really pleased with the results. 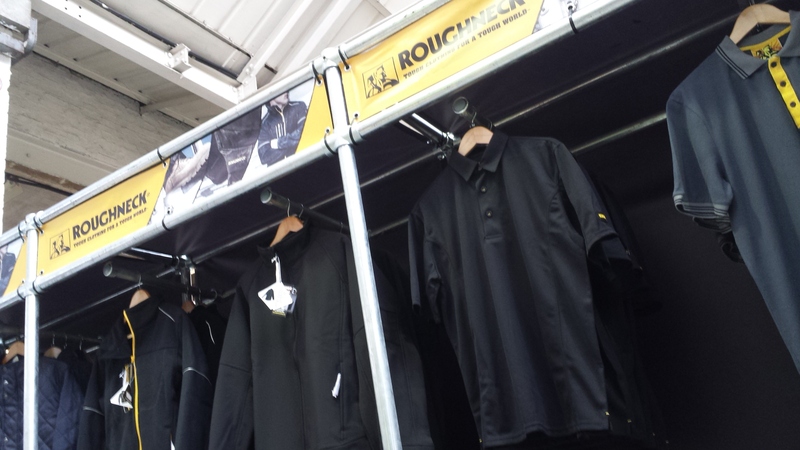 This is the first Roughneck Workwear display in the country and we are proud to have it in our store. We would love for you to visit our store and see the new display in person, although hopefully the photos below show why we are so pleased with it. This new range of clothing is not only available instore but also online. 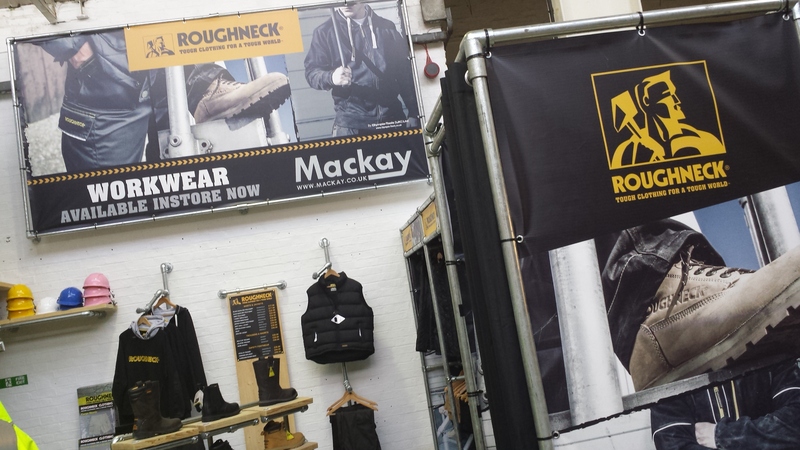 Check out the fantastic selection avaialble of Workwear designed by Roughneck for yourself.